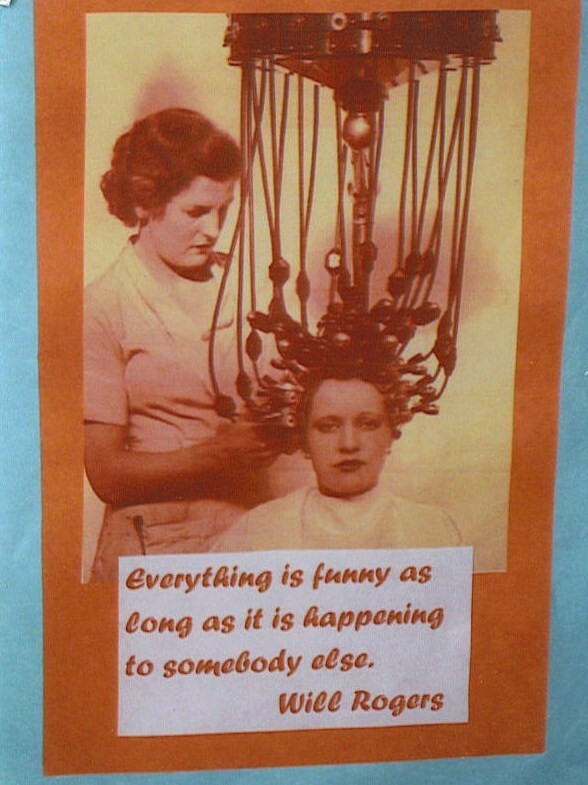 This week in school, were learning the history of perms and blowdryers and I thought it was really interesting the origins of things that we use in our daily life (well, the blowdryers at least). 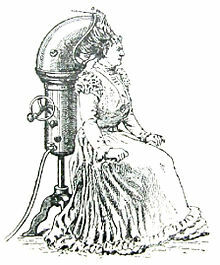 This picture above shows one of the first electrical perm machine. The hair was wrapped and then clamped and heated by electricity. I saw this quote attached to it and cant help but giggle to myself! This is what we have been going over, just wanted to share, and hope you get a laugh out of it!